To inaugurate the Technology column with something worthwhile, I take a look here at the recently released Android 4.1.1: Jelly Bean. Below my column you'll also find an exhaustive list of features, courtesy of Google, which I have included for easy reference. Please note that, at the time of writing, I am fortunate enough to own a Samsung Galaxy Nexus, one of very few devices currently running the official version of 4.1.1. Most of these features are therefore very new and likely to contain bugs which will (hopefully!) be ironed out with upcoming versions. This is therefore a quick preview of the upgrades coming soon to Android devices everywhere. Switching the device on after the upgrade, the first feature to come to my notice was the smoother activation of the "face unlock" software, which unlocks the phone via face recognition (if you choose to activate it). 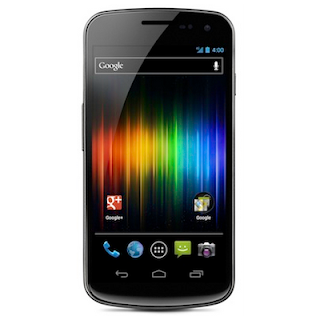 Jelly Bean features a few improvements to this service, allowing a "liveness check" which asks you to blink at a certain point to eliminate the possibility of a photograph of you being used to activate the device. I used this for a little while, though I found that it caused the verification to fail a lot of the time and, moreover, that I had to close my eyes for a few seconds for it to notice my "blink". While this did allow me the smug satisfaction of appearing to passers by as though I was controlling my smartphone with my mind, it also made me look completely stupid, so I ditched that idea quite early on. In general, I have also had more problems getting the verification to work even without the new feature, so I suspect another thing Google did was tighten various parameters. Sadly this is not an improvement, as even a few strands of hair misplaced across my forehead now sometimes prevent recognition, causing me to waste time inputting the alternative unlock code, which is thankfully still included. I would prefer it if Google retained the other unlock methods for the really security conscious out there while retaining the pre-Jelly Bean sensitivity of the facial recognition. Any security gained is in any case lost by the greasy marks I leave on my screen when entering the second code, betraying my password anyway. The main advantage of the service is to enable rapid unlocking when only one hand is free, such as when walking somewhere. The new changes make this a lot more difficult, and as a result cause me to question whether there is any point using it at all, reducing it to little more than a fancy gimmick. After opening the home screen, probably the most striking change that you'll notice in Jelly Bean for is the new look of the search panel at the top. This panel indicates the presence of the much-touted Google Now, a fusion of sorts between the Voice Actions and Google Search functions, already familiar to most keen users of Android, and the much-touted Knowledge Graph. After either hitting the search panel or swiping upwards from the bottom of the screen to activate the program, new users will be greeted by a disclaimer screen asking whether they wish to use the new service. I don't believe it constitutes any risk at all to your personal privacy, although the new ways in which it makes data accessible to the user may be a little disconcerting for some. Google Now forms a centralised hub where the information it believes is the most important to you at any given time is gathered (determined by past actions, other data and by manual settings in the menus). It tells you the weather forecast, the schedules of nearby buses, any approaching appointments you might have as well as quite a few other things. Some features can be rather creepy. If you sync Chrome on your desktop with your phone, for example, it gives you the quickest route to places you recently searched for on Google. It also calculates, again based on recent searches, what time your flights leave and how to get to them on time, and even gives you the sports results of your favourite teams, all without you having to input any data or even request anything directly: it simply works out what data you are most likely to need and when. It silently calculates travel times to your next appointment and automatically gives you ample notice of when you have to leave, as well as the quickest route there. It also works out the time of your normal commute to work along with your usual route there, and it is smart enough to know not to notify you about it every day. If it however discovers, using its magical space brain, that there is heavy congestion along the way, it lets you know in advance, allowing you either to leave early or to use one of the alternative routes which it will helpfully provide for you to beat the traffic. I think this is all very cool and look forward to using it a lot in the future, though I can well understand how it might make some people a little uncomfortable. The few issues I have with Google Now include the fact that it is largely aimed at US customers, with flight and sports data, for example, only existing for the United States. This is annoying and makes me feel a little sidelined. Travel notifications are also only available for public transport and driving, which is precious little use when you live in a small city like Oxford where pretty much everything is within easy walking distance, speaking volumes, again, of the software's American origin. I have also had a few days when the service simply refused to work, failing to send notifications of leaving times or weather information. I suspect this was a server-side issue, since everything worked again as usual a few days later without me having to do anything, which makes me a little hesitant before becoming completely dependant on this growing hive mind. For other British users out there, the "English (UK)" voice package in 4.1.1 is actually rather good, and seems to be constantly improving. It sounds a little like "Jarvis", the robot from the Iron Man films, which can another little ego boost for users, and speaks with decent fluency and accent. Speech recognition can also now be downloaded to the phone, which gets rid of those little episodes when showing off your flashy new technology when it just refuses to work. Voice typing, as a result, should work even in areas with no data connection. I am actually amazed at the quality of the "English (US)" package, which sounds increasingly human and is even able to pronounce British place names, including my confusingly spelled home town. This is yet to transfer to the UK package however, though seeing it already working elsewhere gives me hope that such improvements are only a matter of time. The fusing of Google Now and the knowledge graph with voice control also allows you to feel like you're having a conversation with the device, quizzing it about factual questions and giving it instructions which it promptly carries out. One feature that has impressed everyone whom I have shown it to so far is the versatility of the alarm. You can ask it to "set alarm for x" as before, though telling it to "remind me to take the bread out of the oven in 25 minutes" now works with astonishing fluidity and with very little error, in spite of the apparent complexity of the request. Indeed, many of the previously US-only voice actions are now available in the UK, such as the "note to self" feature, which comes in handy at times. I keep discovering new amusing features all the time, such as "I am hungry" giving me directions to the nearest restaurant, and I believe I'll be having a lot of fun with this for some time to come. You are also supposed to be able to activate voice control from the Google Now screen just by saying the word "Google", though I have never been able to get this to work, and I wonder whether it's even available without the Nexus 7 tablet. I believe these are the most noticeable changes in the new OS, though I feel I should also give a cursory nod to a few other details. Rearranging icons and widgets is now much less of a headache, with things resizing to fit available gaps and moving to make space for new objects rather than simply refusing to be placed. A few design elements, such as the Music app, have also had small makeovers, while some, such as the Calendar, have had minor and barely noticeable changes to the interface. The Camera app now allows much easier shifting to and from the photo view, while managing recently taken photos is much easier now due to a feature that allows you to pinch to zoom out while in photo view and then to flick through and delete images you don't like. Project Butter is a major element of Google's advertising literature, though it makes very little impact (as well it should), simply making everything work a lot better and more fluidly. Notifications notably now have interactive elements as well, allowing you to selectively dismiss the ones you don't care about and to take actions on the most important ones without even having to open an app, which is rather useful. All in all, this is a fantastic release that probably represents one of the most important changes in Android functionality in recent years. I will be particularly interested to see how voice control progresses beyond this point, as I suspect it will gradually become a much more important aspect of smartphone interfaces. A complete index of all new features is now included below for those who are interested. I expect the next phone to get the upgrade will be the Samsung Galaxy SIII, with the it anticipated for the end of the month, so there is a lot to look forward to for Android owners over the next few weeks. Jelly Bean has more reactive and uniform touch responses, and makes your device even more responsive by boosting your device's CPU instantly when you touch the screen, and turns it down when you don't need it to improve battery life. Instantly pair your phone or tablet to Bluetooth® devices like headsets or speakers that support the Simple Secure Pairing standard by just tapping them together. Calendar will now display event colors if you've given your event a color on your PC. The 'Today' button on the action bar now shows the current day. When viewing an event's details, you can now email all the guests with a single tap. Notifications for upcoming events now let you email all the guests without opening the app, and you can choose a quick response such as "Be there in 10 minutes" or type your own. Calendar has a new 7" tablet layout that is optimized for the form factor. Calendar will now remember whether you've chosen to hide or expand controls so you have a consistent experience viewing Calendar whenever you open it. When viewing photos in Gallery, you can pinch to zoom out to enter "filmstrip mode" and rapidly review photos. When viewing photos in filmstrip mode, you can swipe up or down to delete an individual photo. You can also undo the delete with a single tap. Android now automatically detects when one Jelly Bean device is tethered to another's Wi-Fi hotspot, and intelligently enables or disables background data usage on the SSID. Face Unlock can now optionally require a 'blink' to verify that a live person is unlocking the device rather than a photo. Jelly Bean adds support for bidirectional text and more input languages to make the platform accessible to more people around the world. There is improved support for Arabic and Hebrew, including a new Arabic font, in the platform. Emoji from Unicode 6.0 will now render when received or viewed. If the system language is set to Japanese, Japanese specific versions of glyphs will now be properly rendered. The platform's dictionaries are now more accurate and more relevant. You can choose the input styles that you want to use for each keyboard, and use a hotkey to switch between them while typing. You can lock automatic display rotation from the notifications shade on 7" tablets. For Wi-Fi only devices, quickly see the SSID of the access point you're connected to from the notifications shade. The People app now retrieves high res photos automatically for Google contacts with public Google+ profiles and displays higher res photos (720x720) on certain devices. The People app has a new 7" tablet layout that is optimized for the form factor. You can now quickly add your favorite contacts to a home screen, directly from the contact's details page. Accounts are now displayed in the primary Settings view so you can easily see all the accounts you're signed into on your device. You can long press the 'Power Off' option in the power menu to boot your device to safe mode. A new 'Reset app preferences' button lets you quickly reset default applications for specific activities, background data restrictions, notifications suppressions, and more. Google Apps Device Policy on your device may now override the 'keep screen awake' option from developer settings. A new embedded speech recognizer lets you use Voice Typing even when you don't have an Internet connection. When they're too big, widgets resize on their own. If you choose to resize a widget, apps and widgets will now also move out of the way. With Jelly Bean, a redesigned experience uses the power of the Knowledge Graph to show you search results in a richer way. It's easier to quickly get precise answers to search queries and explore and browse search results. If you're using a wired headset, long press the headset's button to activate Voice Search. You can quickly perform a search query by voice and have the result read back to you. You can say "Google" to activate Voice Search from within Google Search. Google Now brings you just the right information at just the right time. Cards appear throughout the day at the moment you need them, and appear as a notification when they're important. Learn more. Transit card: When you're near a bus stop or a subway station, this card shows you what buses or trains are next. Places card: When you're on the go, Google Now will suggest nearby bars, restaurants, and places of interest. Flight card: See flight delays and traffic conditions to the airport for flights you've recently searched for. Currency card: When you're traveling, quickly check the local conversion rate. Translation card: When you're in a foreign country, you can quickly translate words into the local language. Gmail has an optimized view for 7" tablets in portrait orientation to give you a better experience reading email. As a part of Project Butter, Chrome is optimized for fluid and responsive interaction with web content. To get you started, a new product tour guides you through Chrome’s features. Quickly change tabs by dragging your thumb from the edges of the screen. Chrome has a new look and feel for the "Other Devices" page. Chrome now has simplified application-level settings, which are most consistent with the rest of the platform. Chrome is the standard browser on Nexus 7. With support for offline maps, you can select an area to cache and access it even when you don't have a data connection. With performance enhancements throughout the application and updates to the user interface, you can browse articles quickly and intuitively. With an enhanced layout engine for articles, you can enjoy dramatic, large images on a variety of articles. Currents has a new 7" tablet layout that is optimized for the form factor. A new set of recommendations widgets use a variety of signals — content that people with similar tastes have purchased, stuff that's popular around where you live, content people in your Google+ circles have +1'ed, and more — to recommend new content like apps, games, music, and movies. A new My Library widget, which displays all of your recent movies, books, music, and magazines and dynamically changes based on what you've been engaging with recently. Embedded audio tracks and videos can now be easily streamed directly within the book you're reading. Play Books now offers fixed layout books, optimized for tablet-reading of books with beautifully designed graphics and layouts, like children's books and comic books. The Google Play Music widget now lets you thumbs up songs as they're playing and features a new design for better readability.